The picturesque ‘Guitar Village’ of Kirkmichael was transformed into a bustling cycling hub as the 2018 Ayrshire Alps Sportive rolled into town. This grassroots community based event has grown in size and stature since its inaugural running in 2015, with this years edition drawing in over 300 entrants from all corners of the United Kingdom. 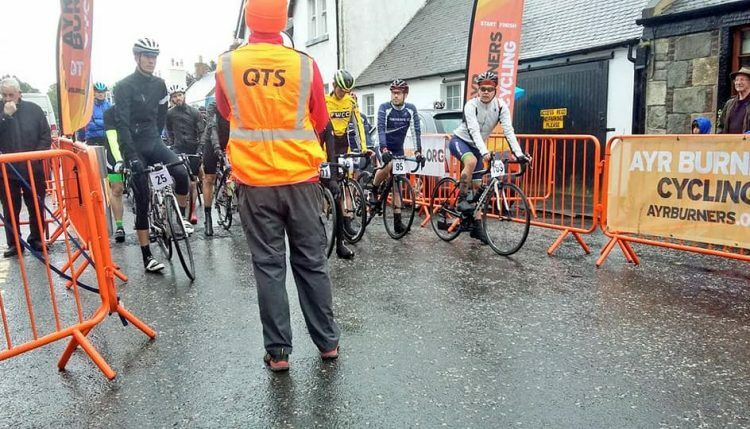 The inclement weather would ensure a tough day of riding lay ahead with the participants facing strong winds, incessant rain, and low temperatures, especially on the famous Nic o’ the Balloch climb. Despite the elements, the riders remarked positively on the organisation, the route, the camaraderie – and the fabulous selection of home baking at the finish line. Event organiser Gavin McKellar hailed the event “a complete success” and paid tribute to the hard working Ayr Burners volunteers for delivering a fantastic day. Gavin also made special mention to the Kirkmichael community and the local businesses for their patience, support, and goodwill. 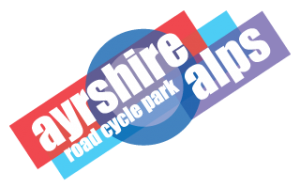 The 2019 Ayr Burners QTS Ayrshire Alps Sportive will take place on Sunday August the 25th. Collected times from the event can be viewed online Unfortunately, due to strong gusts our timing team had to dismantle the start/finish area before all riders were finished.